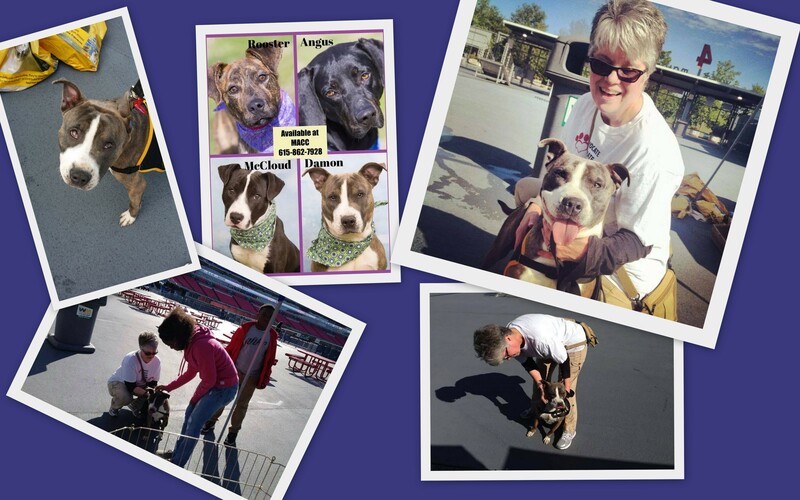 Last May as part of my volunteer work for Metro Nashville Animal Care and Control (MACC) I handled Damon, a pitbull mix up for adoption at the shelter, for Mayor’s Field Day 2014. He was so stinkin’ cute and so great with the kids. One family took a particular interest in him, both children and both moms visiting with him multiple times throughout the day. I just knew they would adopt him. So imagine my surprise when I saw this poster on Stand By Your MACC’s Facebook page the following week. 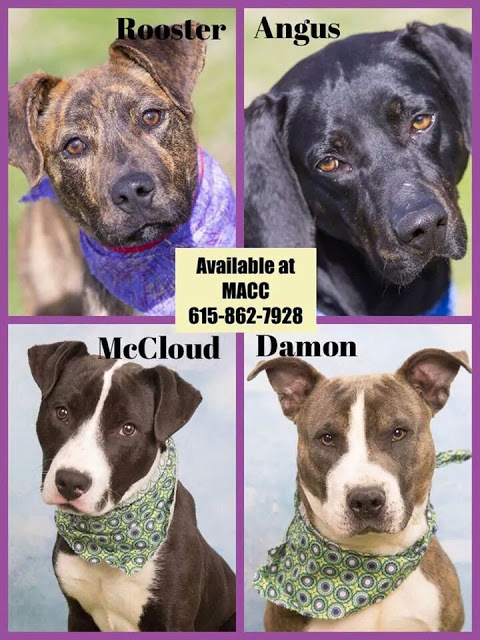 The following Saturday, Daniel and I drove to MACC and adopted Damon. And we’ve never looked back. 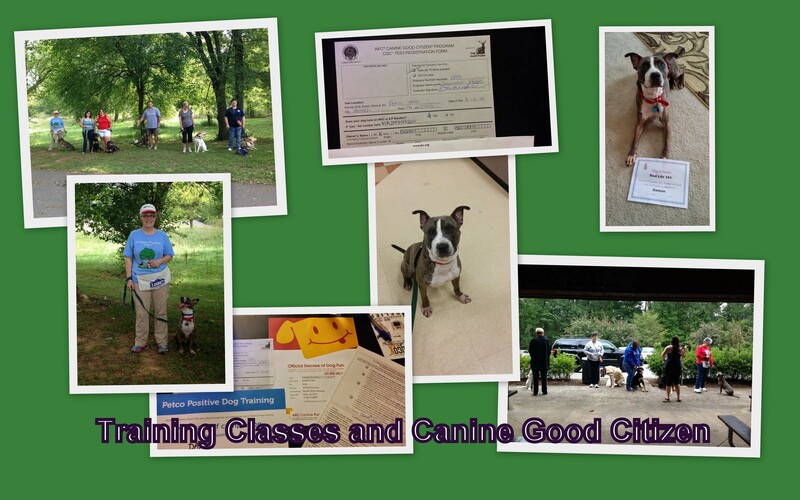 Damon has now completed two basic obedience classes and earned his Canine Good Citizen title. He plays ball with his Border Collie brother Jack. He and his German Shepherd mix sister Jade coexist peacefully most of the time. Can’t imagine our family without him. *All four dogs on the urgent list that week made it out of the shelter. 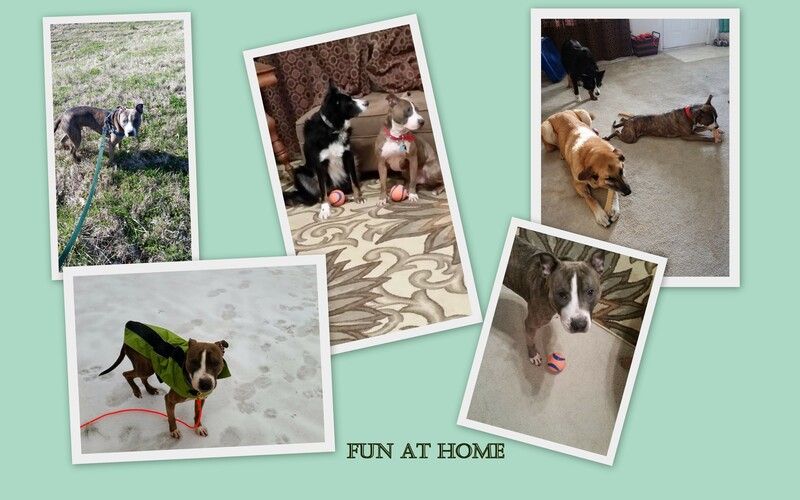 With the hiring of a new shelter director later in 2014 time limits on adoptable pets were abolished. I LOVE happy endings like that. What a sweet boy! Thank God all of those babies made it out of the shelter in time! And I’m so happy to hear the time limits have been done away with. It upsets me SO much when shelters euthanize adoptable pets. Every companion deserves a good home. congrats to the both of you! I guess it was meant to be. And I think it’s awesome you are being such a great mom by taking him to classes to be the best little pibble he can be!! He’s a sweet, sweet boy. And so smart. He loves going to classes and learning new things. What a wonderful story. That’s awesome 🙂 That’s great that he’s doing great. Thank you so much for taking care of the pets in need! Awesome! Happy for you and your newest family member, and congratulations on the Canine Good Citizen! Our four still don’t have theirs. Love this story. You saved his life… what a lucky boy! 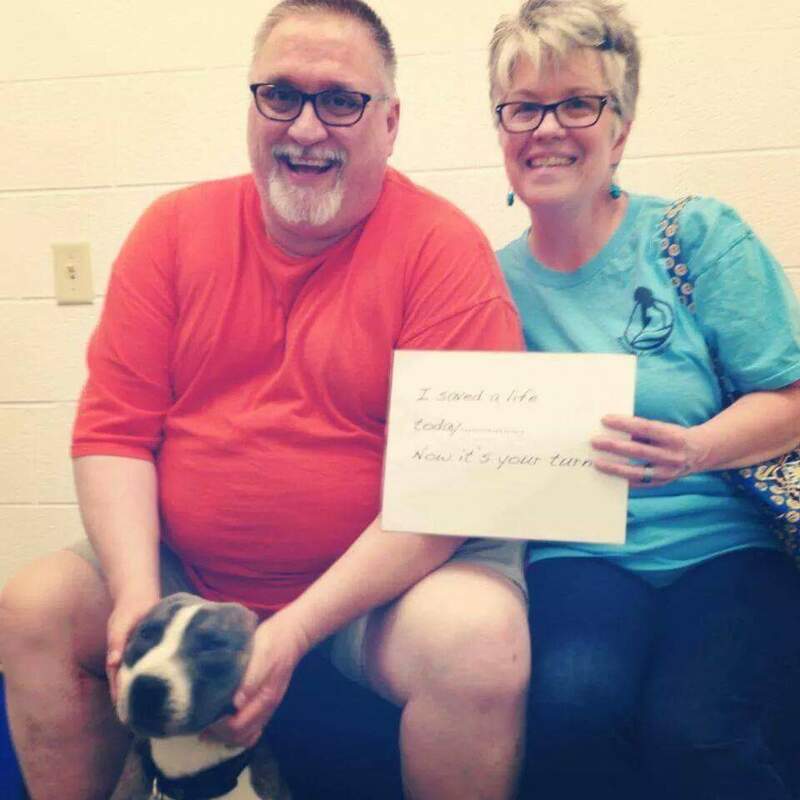 Our local shelter also just hired a new director who is making changes for the best — so glad to see that this is becoming a trend! Thanks for sharing! Thanks for stopping by! Seems many shelters are making changes. It definitely takes a lot of community support and dedication. I’m so glad that you were there for Damon. He seems like the most adorable, sweet dog. I’m sure that he will be there for you whenever you need him to be 🙂 Great story! Thank you! We definitely love him. 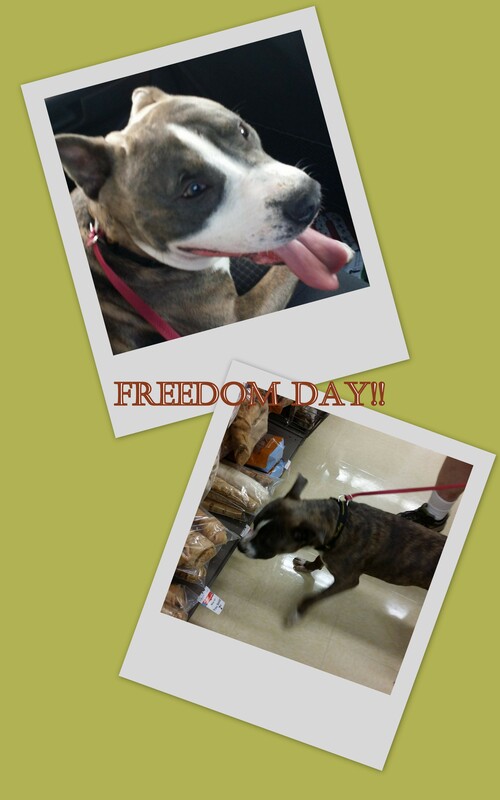 So great all urgent dogs made it! That gave me chills! So glad that you were able to adopt Damon and even more so that the new director abolished time limits! That sounds like a step in the right direction. Nashville is definitely making progress. And Damon is such a great boy! Oh my goodness! What a great story. It was meant to be for you and your family. Damon is one handsome and lucky man. Thank you! He’s a wonderful boy.